whitebrickwall: Get Ready For Your World To Change! Prepare for your minds to be blown and life to change as you know it. I'm about to share with you, a secret passed on to me a few years ago by my friend Lorena. 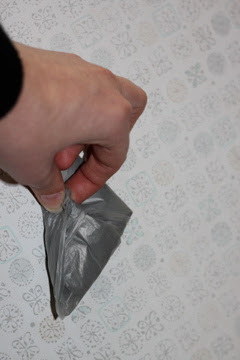 If you too have an ugly large pile of plastic bags under your sink, than do I have the solution for you! Sure the amount under mine has reduced since the evolution of the green bag, but I still get a bunch from time to time. 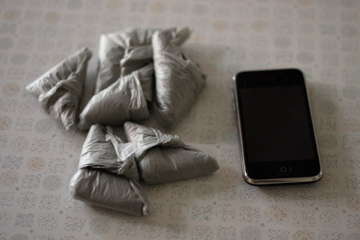 I utilise them for garbage bin liners, taking my lunch to work and other bits and bobs. I went grocery shopping yesterday and after putting everything away I was left with this.. 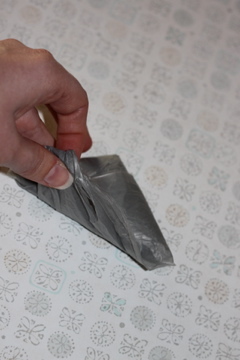 Step One: lay your bag flat on a table/breakfast bar or similar. Step Two: fold down one handle. 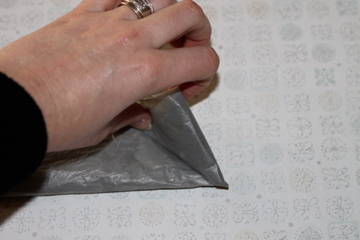 Step Five: wrap the handle around and tuck it in. 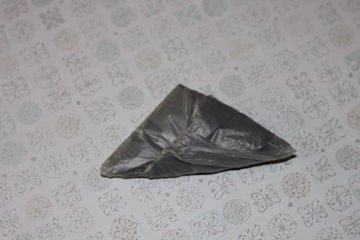 Your amazing space-saving triangle-folded plastic bag. Now go forth my students and pass your superior knowledge onto others. Yep. 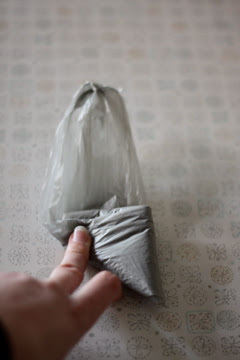 I just wrote a whole blog post on how to fold plastic bags.